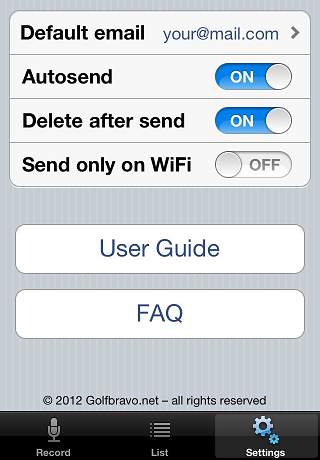 This user guide gives you a quick overview of how to use the app. This is what you see when you launch the app. 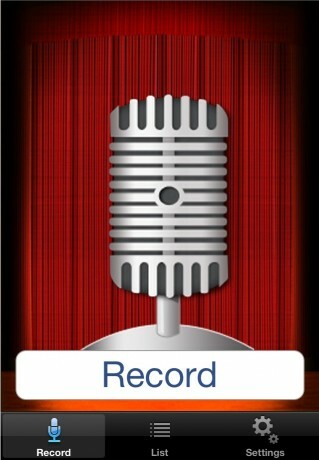 To start recording your note, press the “Record” button. It will change to a “Stop” button that saves your note in the “List” screen. Use the “Settings” screen to define what happens next. 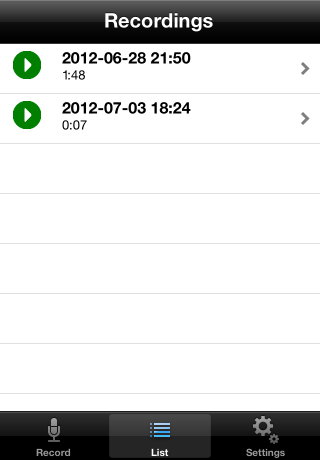 All your recordings are saved here until you delete them. Depending on your settings, they can also be deleted automatically. 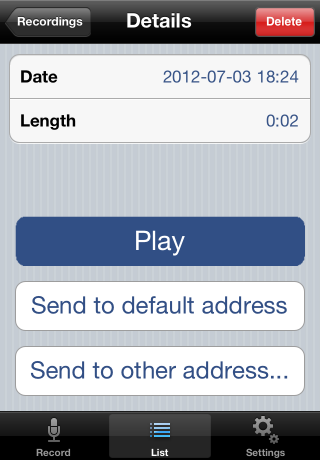 Press the “Play” button to start/stop the playback, or press the row to see its details. Pro tip: Swipe across an entry to delete it from the list – there’s no need to jump into the Detail screen for that. Use the detail screen to review the recording and to send it by email, either to yourself or to a different email address. Pro tip: You can also get back to the “List” screen by pressing the “List” button in the tab bar. Default email address: Define the standard destination for your recordings. This will normally be your personal email address, but it could also be the address of a group mailbox or an assistant, if you’re that lucky. Autosend: When this is ON, every new recording you make is immediately sent to the default email address. Highly recommended! This happens even after sending your recording to another address! There is no way to restore a deleted recording. Send only on WiFi: Turn this on to save your precious bandwidth bits. User Guide: This button opens the page you’re reading now. FAQ: This button opens the FAQ page (frequently asked questions).